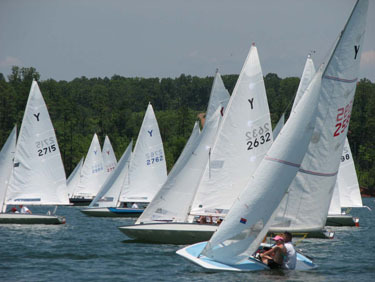 Sailing fleets at AYC include Thistles, Snipes, Y-Flyers, Lasers and, for our youngsters, Optimist Dinghies and 420s. 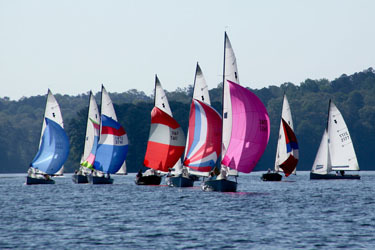 We hold regattas and sailboat races for these fleets most Saturday and Sunday afternoons from March through November. AYC is a member of US SAILING, of South Atlantic Yacht Racing Association (SAYRA) and the International Yacht Racing Union (IYRU). 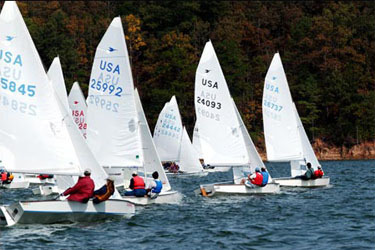 Among our better known contributors to the sailing world are two America's Cup team members (including skipper Ted Turner), two IYRU senior judges, numerous one-design national champions, a member of the 1996 US Olympics Sailing Team and a number of volunteers instrumental in the running of the 1996 Olympics sailing venue. 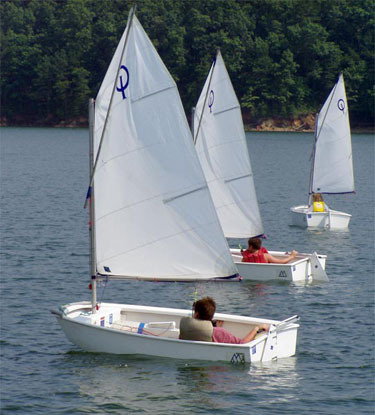 We are also pleased to have produced six certified US SAILING Level I instructors, five of whom (will soon) be certified at Level II, as well. AYC is proud of its solid governing organization, its history of keeping a balanced budget and its success in remaining true to the traditions envisioned by its founders. 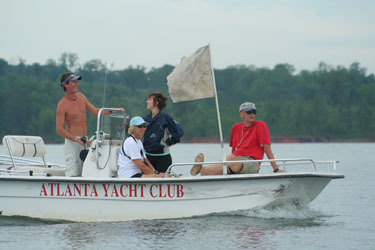 While clubs all around us are seeing their one-design fleets diminished by the popularity of large motorboats and cruising sailboats, our members' common purpose is loyalty to small boat sailing, ensuring that it will continue to flourish at Atlanta Yacht Club for a long time to come.